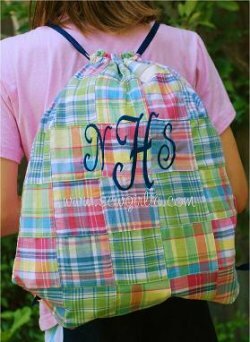 Design your own monogrammed backpack at Sew Girlie. Choose from polka dots, stripes, toile and more! I love that backpack!!! Too cute!! Love the madras! If only I had a little girl to gift it to!